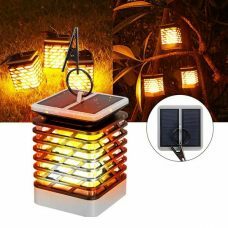 Multi-functional Collapsible Solar Camping Light with USB Charger is a quality waterproof 2-in1 product with multiple features. 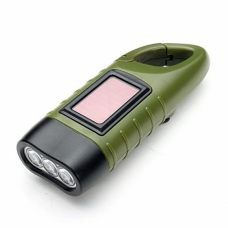 Unique design allows transforming the light into LED lantern or compact mini flashlight. 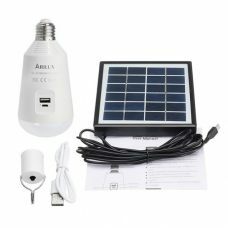 Three lighting modes including full-brightness, energy-saving DIM light and SOS make this lamp ideal for camping, travelling, beach night outs, fishing at night and emergency lighting for home, garden, garage etc. 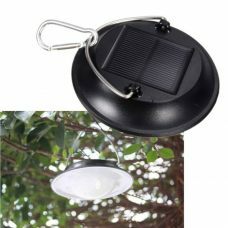 - Energy-efficient lighting product with dual charging option including Solar Power. - Extended running time up to 12h in energy-saving lighting mode when fully charged. - Three lighting modes including High-brightness, Low-brightness and SOS flashing to match all needs in a different environment. 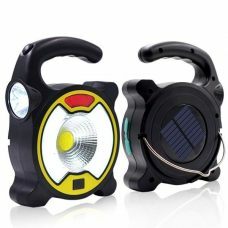 - Unique Collapsible Design allows transforming the light between LED lantern for travel or camping and a mini flashlight for an emergency. 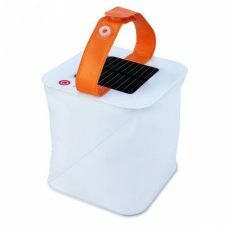 - Portable compact size and light weight allow easily carry the lamp almost everywhere. Hang it at the hook when not in use or store it with a little space. - Two Charging Method including regular 5V USB Charge via the cord. It can be also used as an emergency charger for mobile phone with 800mAh battery capacity. - Waterproof and Heatproof design: enhanced IP65 water and weather resistance. - Completely safe, easy to set up and operate. - No maintenance or electricity cost. User-friendly design, no wiring. 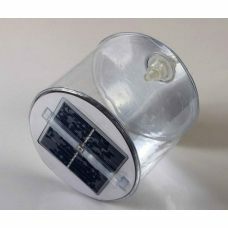 The solar camping light delivers reliable long-lasting lighting and is ideal for casual or emergency lighting for various extensive occasions including camping, travelling, beach night outs, car fixing, construction, fishing at night, emergency lighting for home, garden, garage, hotels, clubs, warehouses, party, etc. - Suitable as an emergency power bank charger for mobile phones. 2. For a camping trip, we recommend to charge the light via the USB cable and use Solar Panel as an emergency backup. 3. 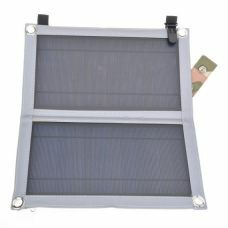 Make sure that the Solar Panel is not sheltered from the sun that would prevent the battery from proper charging. 4. 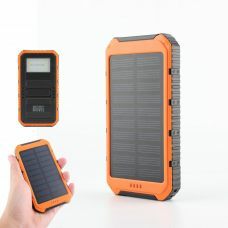 The Battery can only be charged when the Switch on the back of the Solar Panel is turned ON. 5. This product comes with a built-in battery and has a discharge protection function. If it is not in use for a long time, please put the solar panel under the sunlight and charge it before it can get back to normal routine. 6. It is recommended to charge the product properly for better effect when it is stored for more than 3 months. 7. 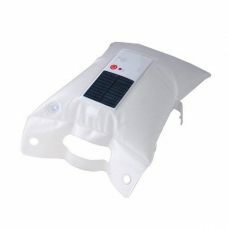 This solar product has high IP65 degree of outdoor protection. However, do not install it in low-lying areas that have a risk of flood. It is strictly prohibited to use the lights underwater. - Solar Panel should be installed in a well-lit area where it can receive maximum straight sunlight during daytime. Any cover that shades the Solar Panel will affect its ability to absorb sunlight and as a result, decrease a device’s performance. 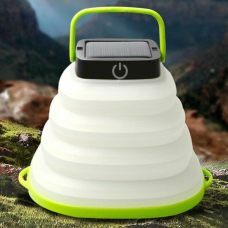 Excellent solar camping lamp, good light intensity and the most practical thing is that it recharges not only via USB before the trip but also with the sun. On top of that it is also power bank for your mobile devices! I loved it.